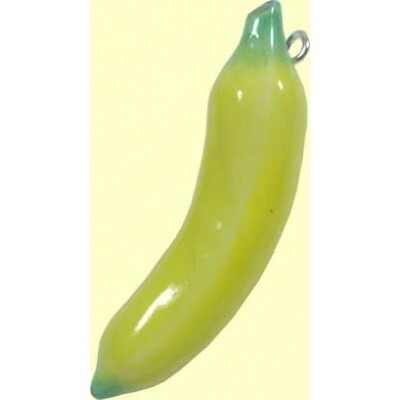 1 Handmade Handpainted Porcelain Banana with loop for hanging. Measures approx. 38 x 8 mm.